A caribou stag amidst the beautiful fall colours of the Denali National Park of Alaska. A Caribou stag of the Denali caribou herd grazes amongst the beautiful falls colours in the Denali National Park of Alaska in the USA. 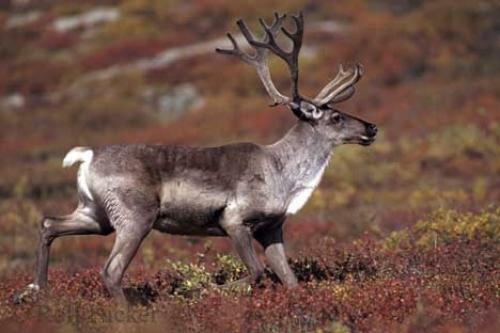 Pictures from photo gallery "Caribou Pictures"
This picture is part of the photo album "Caribou Pictures" - there are more beautiful images waiting for you.